Drink according to the needs of your body. It is common to drink only 2-3 glasses of water per day. The concept of drinking large amounts of water to flush out toxins is not valid. During water fasting, digestion is not required, and the body needs only a small amount of water for its processes. I believe that excessive liquid intake reduces scouring action and disturbs the detoxification process. Avoid water straight from the faucet. Distilled water is the best for cleansing because of its inherent magnetic properties and its ability to absorb and suspend large quantities of toxins, flushing them from the body. The perceived value of mineral water is misleading because the inorganic minerals are like huge boulders to the cellular membranes, impossible to assimilate by the cells. Distilled water is best followed by spring or filtered water. A Brita Filtration System is inexpensive and effective, but change the filter regularly. You can also add freshly squeezed lemon juice and a teaspoon of honey if the water fast becomes too difficult. When water fasting, drink water only when thirsty. Your body has a homeostatic mechanism that triggers thirst when the body needs liquid. On a water fast, I drink small amounts of water but in a juice fast, I like a few quarts a day to keep up my energy for work. During a juice fast, more juice intake means more calories and more energy. Drinking less juice means more intense detoxification and less energy. Working 14 hours a day of hard physical labor may require the calories of three cantaloupes or honeydews, one watermelon, plus herbal tea with honey and a vegetable juice combination. That is a lot of juice. If you do not have to work at hard physical labor, you can cleanse more quickly by drinking smaller amounts of juice. If you are on a juice fast, be careful not to drink too much watermelon juice in the morning. Gastric secretions are also waking up to activity. Too much acidic juice early in the morning may cause stomach cramps. When water fasting, less water intensifies the detoxification. I usually try one or two days fasting on the minimum amount of water by sipping the water. This type of fasting is very difficult but the results are amazing. Especially if you are praying! It gives you a feel of what Christ went through when he fasted in the desert. wait, so were not supposed to drink “lots” of water…? if i drink around 4 Liters a day, is that too much ? I am on day one of a forty day fast. So far it has been H2o only. I am expecting the largest supernatural increase of the HOLY SPIRIT the city of CINCINNATI has ever seen! Wow This is my first 21 day fast, Yesterday was the first day and i made it till 1:30pm i had drank 5 bottles of water since 7am,6 1/2 hours. I started feeling really weak and shaky. I went to the store and bought 100% orange juice. When i got half of it drank i had to pill over and throw up. It was horrid! I went to BK and got a salad, ate it and felt better. I think the next time i start this kind of fast i want to drink less water. Try listening to your body. If you are thirsty drink. Maybe have a few glasses of juice the first day to get over the initial detox. Tom it say’s 2-3 glasses of water a day i have been drinking more than 10 because my mouth is so dry and like 1 or 2 glasses of juice is this okay? Or am i doing it wrong? iam starting a fast is it a problem that i want to do a dry fast the first couple of days then a water fast the next couple of days then end on a juice fast? Like Cat I have a dry mouth but I’m only doing 4 oz liquid when it feels I need something. For me,I almost have to force myself to drink Day 1..I feel really tired,not into drinking much. I have a reverse osmosis water filtration system in my home. After reading your comments, I was wondering if drinking this water with added drops of trace minerals was a problem? I’ve never done an extended fast, but want to start a 21 day juice fast with a friend of mine so that we can support each other in prayer (she’ll be doing another type of fast). And on the topic of minerals, my thyroid is high right now while I’m on levothyroxine and cytomel (as I normally have a very low thyroid) and my doctor is waiting another month to bring it back down to see what my body does. I was told to take a lot of calcium to keep myself from bone density loss. Can we keep up vitamin routines? As you mentioned distilled water’s megnetic properties, I wondered if chelated minerals were safer during a fast? I’m trying to glean as much information as possible to give myself the best chance at success and health. Thanks for your time. Is there any way to get protein in a juice fast? i had a question about juice fasting, my mother always told me that it was better to drink freshly squeezed juice. Does it lose a lot of its Vitamins if you leave it refrigerated and then drink it later. The reason why i am asking is because i would like to start a juice fast, im military and i work about a 10 to 12 hour work day with 2 days of physical exercise. I really cant take time off to fast in a controlled environment. How should i go about, fasting and if there is any specific fruit i should take, and the reason why, to help me? Make the juice once per day. Put it in a large themos with ice. Carrot, melons, watermelon, pinapple and orange have the best sustaining power. Drink 4 liters a day. That will hold your energy. But if you detox, no amount of juice will give you energy. You will be dragged out like a bad cold. How are you? I am on a 10 day water fast now, I am in my 5th day. I want to do a juice fast for 14 days maybe 30. Can the juice be watered down some? I see in the last post about 4 liters a day. Sure you can water down the juices. The amount is about 1/2 to 4 liters a day depending on metabolism and energy needs. I was a 275 lb. woman. I had sugar and high blood pressure which never went down below 159/90 with medication. Just wanted you to know that I fasted for 33 days only on distilled water. The first 3 days I felt like I was longing to eat a cow, by the 5th day I no longer felt hungry but had a terrible back pain. I had acid reflux when I thought of food or the smell of food while cooking for my family. By the 2nd week I hardly had much energy so I slept and prayed alot. After that I drank water (sipping every 5 mins. or so (when I was not sleeping). By the 3rd week I felt better but had lots of pain especially on my legs. After much rest, by the end of 33 days I was full of energy and was healed from my medical conditions. Things I was worried about during the fast: What happened to all the food that I eat before the fast? (I knew I was going on a fast so I eat quite alot ) Because it seemed like my bowels went to sleep for almost 12 days. I was scared! I admit I was a chicken. I should have read more or find out more about fasting before I started. On day 30 I chickened out and had a colon cleanse (brought off the counter at my local drug store). After taking that cleanse I was so energized for the first time. I ended at 33 days because I thought I should have stayed on course but did that colon cleanse thingie instead. I lost 38 lbs during that fast and built a wonderful relationship with my Lord! I am now off all of my medication. I gained back 8 lbs the first month but now working on keeping it off. Thanks for sharing. I would love to make a page of the full story. Were you diagnosed with diabetes? Type? I was looking into doing a water or juice fast. But I was how much water or juice are you allowed to drink, and is it only water weight you loose and is it likely to gain it back ? Listen to your body. I disagree with the 8 cups a day rule. If you are thirsty drink. The weight loss of fasting is first from less mass in the colon, second from water as the body needs to hold less as there is no digestion needs and the third is from fat reduction as is is used for fuel. The first two are the losses of the first 3 days and the fat come off after 3 to 5 days. You do not regain the weight is you eat more fresh fruits and veggies after the fast. Start with juice fasting go to water and end with juice fasting. You will get better results and it will be easier. I am going to begin a juice fast this week and I am looking to find out if it really will work. I tried one before for a week and didn’t lose a llb. I felt very dissappointed and was looking to find out if fruit fast is actually a good way of losing weight. If you water fasted for one week and did not lose weight you must have a very slow metabolism. Fasting for weightloss needs to be 30 to 40 days on juices if you want to see noticeable results. The body has reserves for 3 days and for a slow metabolism that can be 4 to 6 days before it even touches the first gram of body fat. I’m worried about my husband. He started the water fast because he has severe gout. Off the charts uric acid levels and pain in all his joints… feet, knees, shoulders, ankles, heels. The doctors have never seen anything like it. It’s now day three and his leg is totally swollen, his shoulder hurts, and he’s having severe back pain. Just to be clear… he’s been bed ridden the past two days. He can’t even get up to use the bathroom. He’s drinking 3-4 liters of water a day and is determined to continue this fast for 30 days. He’s been on indomethacin for the past 10 yrs for his gout. Has avascular necrosis and has had 3 hip replacements (bilateral). I want to know what I can do if anything, besides empty his waste bucket? Is there something he’s doing wrong? Something he’s doing right? Any idea how long this severe pain will last? Water fast to heal severe gout is a very bad idea and can be dangerous to the kidneys and liver. The body dumps the uric acid crystals at an alarming rate cause all kinds of problems. You need to slow the detox with juice fasting. You need lemons to alkalinize the blood, and add essential oils, 5 tablespoons a day. Udo’s Choice is my favorite. to reduce the inflammation. We recommend 14 days of juice fasting before entering into a water fast. Even on juice fasting we have seen some severe detox crisis with gout. You want to go slowly with a long treatment period. Follow what I say and you will see good results. I have seen people that were totally immobile recover joint mobility. I fasted 2 yrs ago for one week exactly on a water fast. I am going to do it again but I had a problem the last time. I had such a terrible taste in my mouth that every time I drank water it tasted just horrible. So much so, that I didn’t drink enough and became dehydrated. I wanted to go on for a total of two weeks but couldn’t because I got so far behind on water. Is there anything I could do to get ride of that taste without going off the fast? To get rid of “metal mouth” scrub your tongue with a toothbrush a few time a day and chewing on parsley will kill bad breath. I am starting a 10 day water fast tomorrow. I am 5’7″ and currently weigh 145 lbs and would like to get down to 120. Do you think this is possible? Better to wait and see how much you are losing per day than have me make a guess. 1) I have indirect hyperbilirubinemia is due to steatohepatitis. So can I still go on water fasting. 2) I have no issues with my will power, but I need to know upon which symptoms should I stop. 3) Can i continue cardio+resistance exercises. Cardio exercise drink water fine for slow metabolisms. You have to try to find out. It you push to hard and you have a med to fast metabolism you can cause intense calorie demand and will be wiped for hours and even days. Start with juice fasting with beets carrots and lemons as the base. Watch for and yellowing of the skin. Your bilirubin count should lessen. With the juice you can take many supplements to increase healing. Hi Tom. I have read so much about how much water to drink during fasting. You say to drink as little as possilbe and drinking excess water is invalid. Much of what I read says drink 1/2 your body weight of water daily. Is this preference for an individual or are results altered drastically from one to the other? I am on day 4 of water fasting, with one small 5 oz vegtable juice daily. It is going very very well and I appreciate your website and all the information. I am keeping a journal which helps a lot. I am on my 2 1/2 day of water fasting. I cant really count Tuesday as a whole water fast cause I started the Master Cleanse but the cayenne gave me chapped lips (ouch) so I just went on water alone and havent cheated(which is a constant miracle). There is no doctor around where I live to help me through this fast. Is it safe to stay on this water only fast for a few weeks? I have a few hunger pangs, not bad, but I have strong willpower to be healthy and be thin. I have 100lb to lose but will be happy with 50lbs. I am worried about flab and stretch marks…I read that with water fasting there is no flab, and I can get cream for stretch marks….is it true that my belly will just shrink? Anyone have any experience with belly shrinking? Your directions read to drink 2 to 3 cups of water when on a water fast; however, how much exactly would be safe for being on a water fast for 28 days to a month of fasting? I only ask because a friend of mine actually gave herself water poisoning and had to be rushed to the hospital to get rid of the horrible water build up. I want to make sure I avoid this problem…. I think she just felt dehydrated all the time during her water fast that it caused her to overload herself with water. If 2 to 3 cups of water daily during fasting is safe then how can one deal with the posibility of feeling dehydrated? What would be the maximum amount of water a person can consume on a 28 day to a month water fast without getting water poisoning? Lets start with a definition so we have some clarity. This is a water fast problem and never occurs during juice fasting as the body has a massive amount or electrolytes to replenish any lost by drinking excess water. As to the exact amount of water during a water fast. I think 8 glasses would be more than enough. Constant thirst is an indicator to move to juice fasting for a few days or a week as something is going out of balance. Two to 4 cups a day is normal for extended water fasting. Adding fresh lemon, can be a great benefit. Yes you could drink 4 oz of water per day. Listen to your stomach. It usually takes a few days of water fasting to get the stomach to the point if feels comfortable on that much liquid. Hypertension is dramatically reduced by fasting. If your blood pressure normalizes stop the medication. I recommend that you check it daily and if it stays under 120 stop the meds or cut them in half if it goes back up. Please also know that I have to take a water pill because I do get severe hypertension and because of my poly-cystic ovarian syndrome of having too much of testosterone in my system. It is crucial that I take this medication. I cannot stop taking it. Because of this, how much water consumption would be safe for me? Would drinking 4 oz daily be OK to do? Ok sounds great Tom. Thank you for your help and will keep you updated. I am on a water fast for 40 days I love it, Did a 21 day fast a few years ago… it is wonderful experience and feels great when done!! Nothing good is gained by having weak wills and quitting when you go through minor changes, (if your in reasonably good health that is.) Of course one should be sensible and careful, but the human body can stand way more exercise and training and fasting than most will ever put it through. Refuse to quit and be AMAZED at WHAT YOU CAN DO!! Answers come quickly when I fast but sometime God make us wait to appreciate the answer more. Hello all. I am on the first day of a 40 day water fast. I have fasted a couple times before for a couple days each time, but am ready to take this plunge. I am hoping for my system to be cleansed, as well as to lose 40 pounds. I have been reading comments on this site for a while, in part to give me the determination and inspiration that I need. I have also done a lot of research on water fasting during the past few months, especially long-term water fasting. It is towards the end of the first day, and I’m not experiencing much except for a slight headache. No disrespect to you but reading about water fasting is ok but in the end your the one that has to experiance the highs and lows. No book will prepair you for what you will experiance on fasting as everyone is differant on a water fast, the best advise i can give you is mentally focus on the middle of your fast when you get there then focus on 1 week at a time visulize yourself on every step of your journey and be strong. Take an enema on the 4rth day give your body time to adjust to the fast, some say take one at the start but i much prefer to take one on the 4rth day then one evey 4-5 days. But i must say that the first flush you do, i would recomend the salt water flush if you can handle it as its quite brutal to do but worth it. I only recomend you do this once or twice on your fast, but you can take a chemist enema if prefered, but this only cleans out the colone. Best wishes on your fasting journey and i will be here for support and guidance Regards Keith. Hello Tom, I am a 16 year old runner and xc is over and im looking to fast in between xc and track seasons. I’m about 6’3 and 170 lbs and i was wondering what type of fasting would be the best for a period of about 10 days, water/juice or a combination? If you are running during a straight juice fast your energy levels will be reduced due to detoxification. If you add a protein supplement, you could continue running. Juice is the best for a first fast with a few days of water after day 3 to 5 but expect to be very tired. i would def advise juice fasting for your energy demands Nathan. That is of course if you are still running, but you cannot do a water fast if you are running this would be quite dangerous and not advisable. Water fasting needs you to be at home and not doing to much. Best wishes Keith Site Admin. I won’t be running during the fast, since I’m relatively healthy, how long of a period should I fast for? My main goal is to be able to breath better and detoxification. Hi Tom..I am a first time faster…i wanted to do a water fast for 21 days..my reason is for spiritual reasons but also to detox my body..I am 5’7 and about 50 pounds over weight..I have issues with digestion,and my feet are very sore on and off..I have not had blood testing done because of no insurance..I just turned 40 years old..What are your reccommendations on starting..how much water to drink in a day? Do i do a cleanse over the counter first? Do i have to do a cleanse or can i just start? Thanks so much for any help you can give me..
You can start of with a 2-3 day juice/veg fast before starting a water fast, try 10-14 days on water for your first fast. Digestion can be healed through water fasting. The best advice that i can give you to heal digestion, is to do the salt water flush 2nd day into your water fast and every 3rd day after, most enemas only clean out the colone, the salt water flush cleans out the intestines and colone, its horrid but very efective in detox and healing of the digestive tract and mutch more. If you have any questions on the salt water flush then feel free to ask. I had planned to do a long water-only fast, but my back started hurting terribly. It hurt so bad that I could not sleep for two nights and could barely get through the day. I know this is caused by toxins in the small intestines and I read to use an enema. I decided to eat fruit instead so that I would naturally start having bowel movements. Would one enema have made the pain go away or would I have had that pain through the whole fast? I am now eating fruit, veggies and brown rice. Would I be able to start the fast again and would the back pain be as intense? Intense back pain is common on water fasting and occasionally on juice fasting. I hurt my back badly and suffered 7 day of intense pain on a water fast. When I went to juice the pain disappeared and I went back to work lifting heavy equipment. The pain is due to intensified healing. Juice first, water fast 5 days. If the pain is to much go back to juice. Back pain is normal, but you would have been better breaking into your water fast slowly with juice and water then water. I always do the SWF, salt water flush, when water fasting, i find it speeds up detox faster, some people do not recommend enemas during a fast but i think it is unwise to water fast without the removal of waste lying in the intestines and colon, hence slowing of the detox process,and more problems during the fast. Thank you so much for your answers, I am excited to know I can try this again. I do not want to buy a juicer, so is there any juice I can buy that would get me through the first days as Keith suggested and if I start having back pain? And thank you for the SWF recommendation, I did not want to do an enema, but that sounds much better! Will one SWF be all I need to completely clean me out? And would I do that the day I begin with the water fast? Oops, sorry I just saw my answer for the SWF in the comment above mine! If you could just tell me the answer to my juice question! After reading more closely, was msbrindi only to keep repeating the SWF because she has digestive problems or should I do that too? You can buy organic mixed veg juices, and ready mixed fruit juices from a store, although juicing your own is best. Break into your water fast gently for the first 5 days adding water to your juice on the last several days, then go onto water. The salt water flush is horrid, but very effective on cleansing your digestive tract. You can do the SWF on day 1 of your water fast then day 4-5, slowing it down to day 12-15, depending on the length of your water fast. Hope this helps you for now, keep us all posted on your progress. I used to drink “BarleyGreen”, would you recommend me doing a barley/grass juice like that for the juice or buying the organic mixed veg juices/mixed fruit juices as you mentioned. (Or both)? And by the SWF being horrid, do you mean that drinking it is horrid or that I will feel horrid and be having diarrhea? (Or both 🙂 And how long is it horrid for, just that day?? This all sounds fun, ha! But, I have felt so good since my 5 day fast (Physically and such a closeness with God!). I am 51 and worried about clogged arteries (runs in the family) and want to get them cleaned out! And I want to experience even more closeness with God. It’s sad that so many Christians are missing this part of their journey and not even knowing about the opportunity…..
My question to you is?…Do you have any medical conditions that would stop you from a healthy fast Linda? The most amazing tip i could give you is add cayenne pepper to your juice or water fast, this will de-clog the arteries, amongst many cures through time. Did you know juice fasting reverses the ageing process and adds many years onto your life span, “AND” i mean many years. Science now knows that mice on a low calorie diet, live twice as long as mice on a high calorie diet? Recommendations now are a diet of, 1600 calories a day. Hope this helps you. .
Cayenne pepper???? OK, I will do it!!!! Should I use a barley/grass juice or store brought mixed organic vegetable juice (since I am not buying a juicer and want to do as much of a water fast as I can)? And no, I don’t know of any health conditions except high cholesterol which I have never taken medicine for. Like I said, heart disease does run in my family though…..
We can control the detoxing affects by the amount of fluid we drink…?? 2) In Juice Fasting – the water consumption can be cut back due to the amount of Juice we will be consuming…?? 3) Is it good to drink mostly fresh Juice all day long…?? The Juice fast will be for the purpose of healing the body. Over weight – bad heart – bad liver – edema – fatigue – severe pain. Hi JH, And welcome to our site! intake the detoxing effect is slow, or rapid. 2. Think of juice and water as “liquids”. or less per day. Listen to your body concerning amount. Juice fasting is fine for your first fast, and for healing. Water fasting is very arduous and not recommended unless you are well informed, doing a very short fast, or have a lax lifestyle. As Ron has mentioned there is a wealth of information on here, you have the option of buying Toms e-books, they are a great read and will help you learn as you go on your fasting journey, for a healthy life style. I am a 24 year old girl from Spain and I have decided to do a water fast, but I have a couple of questions. My previous experience with fasting was a few months ago, when I did the Master Cleanse for 10 days. I didn’t have any problems while I was doing it, but it didn’t seem to solve my problem: food addiction. My weight is 86 kg and I am 1,63 m. tall, so I am mildly obese. I think the problem was that while you do the Master Cleanse you are taking marple syrup, so you are still taking some kind of sugar, right? And that’s the only thing I am addicted to, since I don’t drink, I don’t smoke and I don’t take any illegal drugs (although since I started to gain weight, like two years ago, I have been having migraines and backpains, so I have been taking painkillers for quite a few months, and I think that’s addictive as well). – Weight loss / trying to kill my food addiction. – Trying to heal an old injury in my right ankle (I sprained it like 6 years ago and it still hurts me, it didn’t heal well). My question is if you really think that this will help me get rid of my addiction to carbohydrates and if I will have lots of saggy skin. Also, I know this may sound like a vain question but I have had big red stretch marks in my hips for more than a year now (you can’t imagine the amount of money I have spent on creams) and they are still there and still red, do you think they will improve? Will they get worse? Stretch marks are a quite common thing but even though I have done research about fasting it’s not something a lot of people talk about. Thanks very much in advance and I apologize if my Enlish is not perfect. I await your response. Hi umabdt, I would recommend juice fasting for your first fast, as healing and weight loss are your goals. If you want less sugar, use veggie juices. Please look at this website closer. There is a lot of information for you here! have a look at my 32 day water fast. it is allways best to juice fast if this is your first fast, water fasting is brutal if you plan on 30 days, best to juice fast then water fast, it has taken me nearly 2 rears to compleat a 32 day water fast. I tried the salt water flush and nothing happened. I know that I have stool in my bowels but it is not coming out. It has been two days and I have taken other laxatives since then but nothing is happening. What should I do? Hi tshea, The swf should’ve went thru you like a freight train! You did something wrong. If you don’t use enough salt, or drink it to slowly it will just be absorded into the body. Try Senna tea w/ a little honey. Let it steep for about 15 minutes…and stay near a john! Usually works in 1-3 hours when fasting. 3-6 when not fasting. 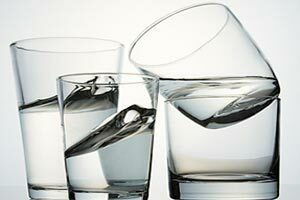 What does it mean if my mouth always feels dry and I always feel thirsty during a water fast? I drink plenty of water. Is that normal? Hello. Well I stopped the previous fast. And am starting again. I’m on day 3 or my juice fasting and feel fine. Afterwards, I wanna do a week long, maybe more water fast. I did this before and for some reason, always have a dry mouth and really chapped lips during the water fast. I’m not taking any meds and before drank about 4 liters of water. I think I’m drinking more than enough water but it’s still not helping with the dry mouth and chapped lips. Am I doing something wrong? I’m not sure what you mean by what I’m doing and what am I not doing? I’m doing this fast for detox and weightloss reasons and to maybe balance out my hormones. Currently I’m taking walks as for physical activity. I’m not sure if that was the kind of info needed or not? Hi tate, Are you very over-weight? Are you taking any medications? Do you have any medical conditions? Are you just water fasting, or are you having juices too? Are you taking any supplements or vitamins? How much water in liters are you taking per day? Have you done any cleanses (salt water flush, enemas)? What is your goal in days? Actually, I tried drinking less water, only when I’m real thirsty and that seemed to solve the problem. Thank you. Didn’t know that drinking more than the needed amount of water will actually dehydrate you. I started a week ago a juice fast for 40 days! I have a dermatitis on my scalp. I like to know what fruit or vegetable could help to get rid of it knowing that I live in New Caledonia and there is not fresh spinach only frozen! Also, I don’t seam to loose weight! Thank you for any input! Check on line for nature cure dermatitis. With fast all herbs and healing systems work better. I’ve been reading your site a lot lately and have a question that has been touched upon a few times. I am on my 4th day of juice/water fast. I had juice for the first 2 days and then water for the 3rd. End of the 3rd day I experienced extreme lower back pain. I feels more like its in my kidney region than my back. Slept only a few hours last night. I thought maybe it was a reaction to only water so I had some juice this morning but still about the same. Any ideas of how to get rid of it? It makes to very hard to sit for even a few min. I would try an enema first as that can reduce the pain quickly. Higher toxin levels in the colon can enter the lymphe and somehow and trigger pain at the lower spine. But the kindneys are also affected by higher toxin loads. If the pain is higher up and 3 to 5 inches from the spine then you need to slow your detoxification rate of break the fast and do a series of short fasts. Have you had any kidney problems in the past. For you it is better to have lots of sweet juices to slow the detox. Old back injuries have a tendency to become painful during the fast due to healing. I am 28 years old and have two badly injured knees. I’ve torn both acls and have arthritis in one knee. I’m going to do a 30 day green juice fast to help promote healing. Have you ever seen anyone have success with ligament damage? Thanks! as well and get absorbed into the body instead. I usually take 3-4 big gulps within 10 mins. That works for me. There isn’t much that makes me queasy, but the swf gets that award! Enemas are also important during a fast. 2-3 per week will do the trick. Today I began a juice fast. I only have the time to do it fore 16 days before I have 3 days to gradually get into ‘normal’ eating before going overseas. I recently did a 3-day fast and lost over 2kg. I think I have a reasonably fast metabolism i.e. if I combine food properly (important for me) and keep the calories down I lose weight quickly. My first question is how much juice to drink and in what combintations? I’ve read so many different reports from books and online with some amounts as low as 4oz per day and others as high as 24oz per day. Others say just have some when you’re hungry i.e. listen to your body. Second, I’ve also read that you need to know which ingredients to combine for the best results and weight loss. I’m hoping to lose 7-8kg. Is this correct? In terms of what I usually juice, I combine a bit of fruit for taste and goodness (apple, berries, cherry, pear, grape or occasionally pineapple, watermelon, nectarine etc.) with celery, green leafy vegies as well as a bit of others things like zucchini, squash, snow peas, sprouts etc. Also, soon I can begin adding fresh wheatgrass (I’m waiting for a delivery in a few days). Your sage advice would be a great reassurance. The longest I’ve fasted before is 5 days (water) and 3 days (juice). I’m hungry but already feeling better. How much juice? What do you want. More juice more energy and the fasting is easy. Less juice less energy and more rapid detox and weight loss. If I have to work I drink a few liters a day. If laying around almost water fast with a few small glasses. Mixing gives a greater range of phytochemicals. But catabolism heals. The juice supports the process. The body will heal on any juice. P.S. Tomorrow I’ve booked myself in for a colonic (erghh!) and I’ve ordered a 2litre enema. How often should I have these. Some say have a colonic every week, others only on day 2. As for enemas, some say every one or two days. I’m confused? That is up to you. Once a day is good to kill hunger and the fasting feels better, maybe due to less toxins in the colon. The longest you should go is 3 days. Thank you so much Tom. I plan to exercise some days so I’ll keep up the juice on more active days. One last question, is fresh and/or plain packaged coconut juice OK to drink on a juice fast?